I thought the Tessuti Pia was going to be a relatively straightforward sew. Silly me. You see in my initial enthusiasm I somehow completely misread the sizing information. The XL has the following measurements; Bust 101 cm, Waist 89 cm, Hip 117 cm. Ok the waist is too small but I didn’t think that would be a problem due to the shape – and it wasn’t. And the hip is pretty spot on. But my bust measurement is actually 116 cm. Not a great increase on the 110 cm that I read the pattern as. But a significant increase from the actual 101 cm. 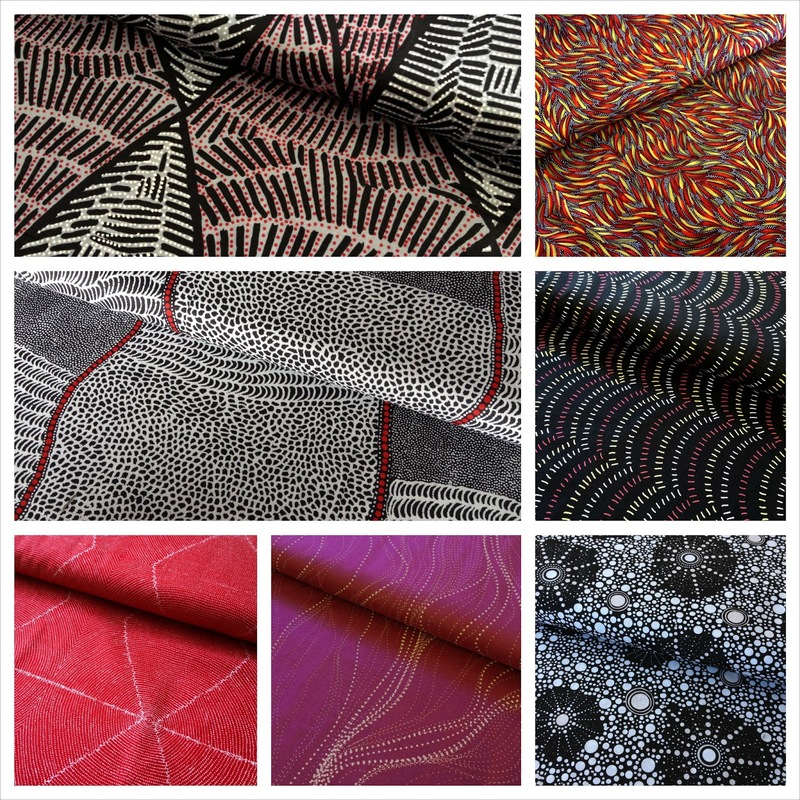 Which led me to have a closer look at some of the truly amazing Australian Aboriginal print fabric available. Fabrics and art which by the way has flat rate international shipping of only $23.95 for up to 9 yards (and really good prices on this fabric). So the Pia dress has been temporarily shelved while I contemplate the fitting issues. But it has opened my eyes to the wonder of Aboriginal print fabrics so it hasn’t been a total loss. 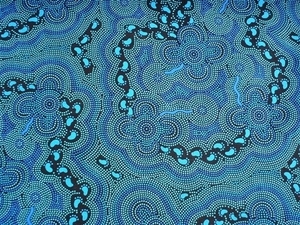 Have you ever used Aboriginal print fabrics? Or are you now tempted? If you have, please leave links in the comments as I’d love to have a look. Aren't they fantastic? Please let me know what you get – I'd love to see! Great fabrics. 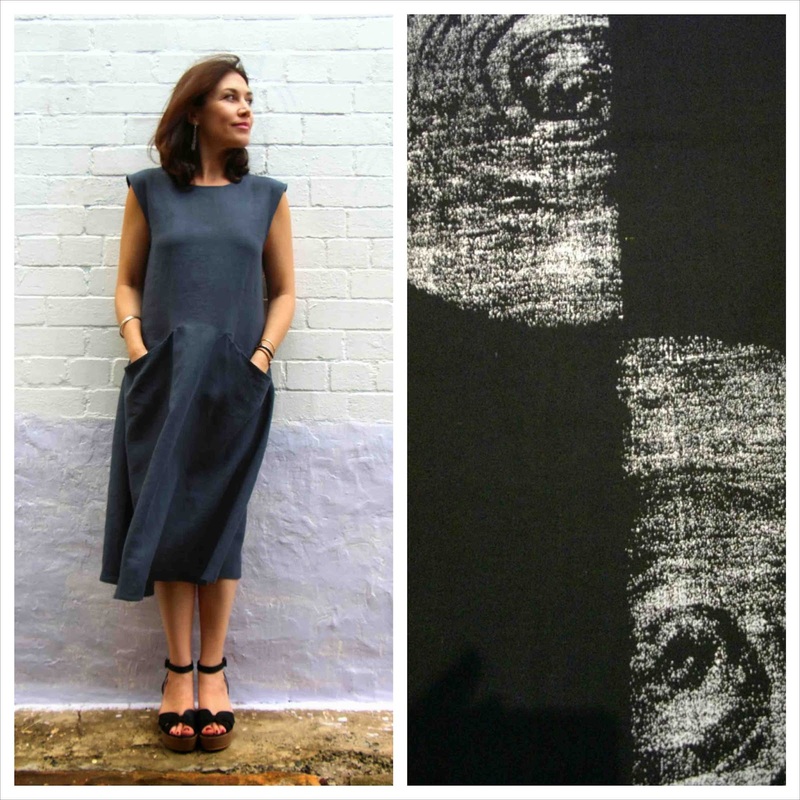 I'm with you on prints – no floral or novelty, but really love abstract geometrics. And stripes. Strangely stripes haven't previously done it for me but lately I have seen a few that tempt. So maybe there'll even be some stripes here soon.